We heard a while ago that a couple in Lincolnshire were planning a Super Mario themed wedding, so with the big day creeping closer we thought we'd check-in with them and see how they're getting on! I'm Lauren, I'm a nurse in the cardiac unit at the hospital, originally born in Mansfield but moved to Boston, Lincolnshire 23 years ago and live here now. 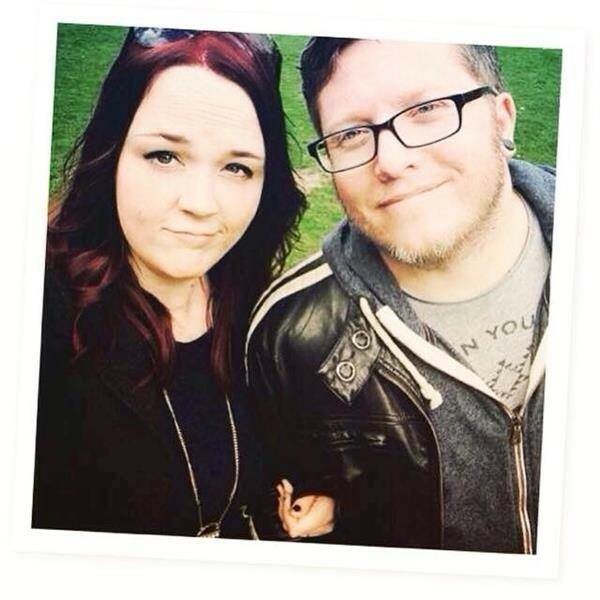 I'm marrying Grahame, a teaching assistant, we're getting married in August at Fydell House in Boston and our reception is at Haven High Academy. 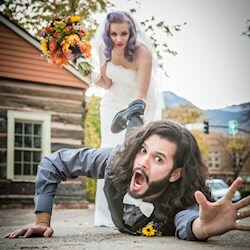 What kind of wedding have you got planned? 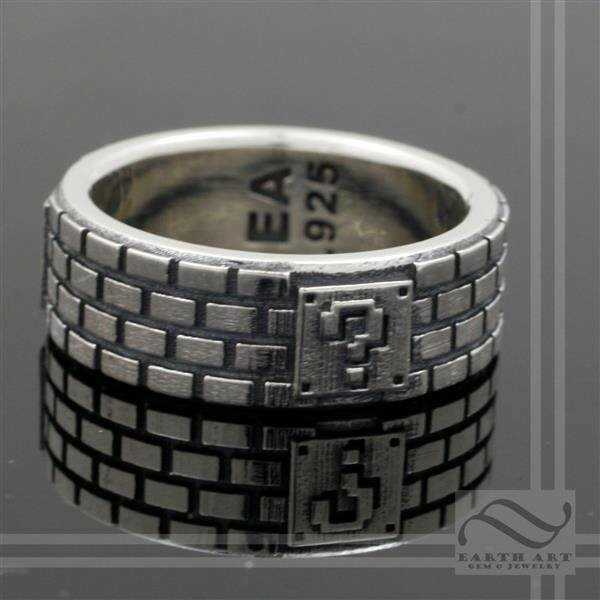 Something fun and quirky! Well we're both gamers and spend most our time on the Play Station 4. 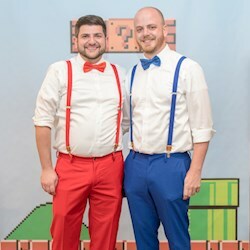 We were thinking how we could integrate gaming into our wedding and thought Super Mario would be an awesome choice as it's cool, cute and different! I looked on Pinterest and saw Mario cakes and that was decision made! Have you got your outfits sorted? I'll be wearing an ivory corseted dress that flares out. However, I am looking for some cute shoes to go with it! Either Converse, Vans or something alternative. We have bridesmaids in mint green and two flower girls in Ivory and red dresses! 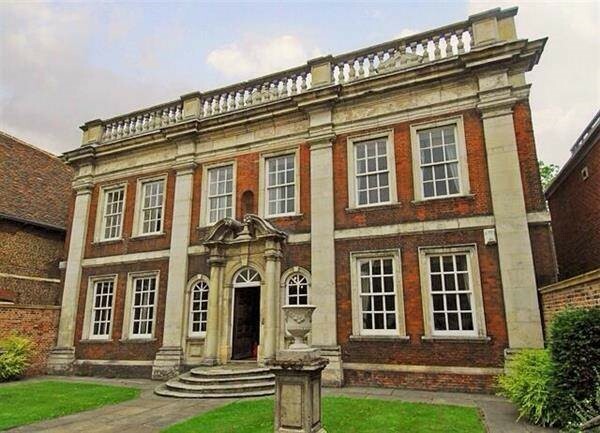 Grahame will be wearing a red tie with waistcoat and converse and so will his best man. 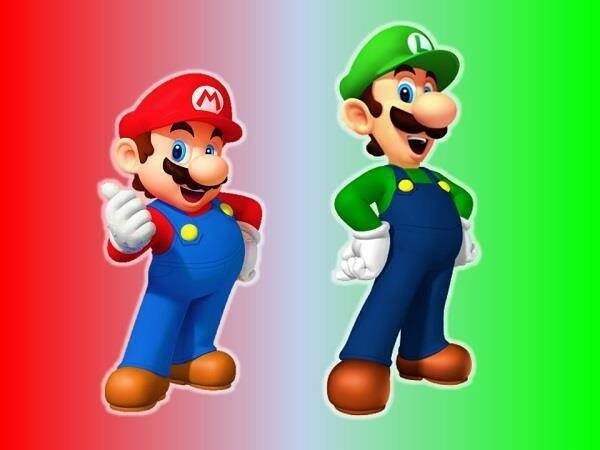 Red and green is our theme as they are Mario and Luigi's colours. How far have you got with the planning? With only two months to go most things are planned and bought. I have hired a guy to make balloon Marios and Luigis to entertain the guests. We have a disco playing alternative music that we like. We're having a candy table too with red and green coloured sweets. 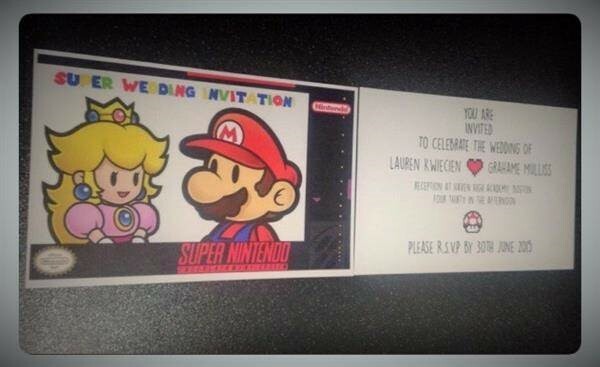 Lauren & Grahame's Super Nintendo style wedding invitations. Where have you found the things you have so far? 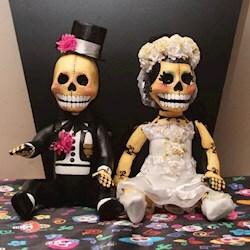 I have mostly looked on eBay to find bits for the wedding and on Amazon! Pinterest has given me ideas too. 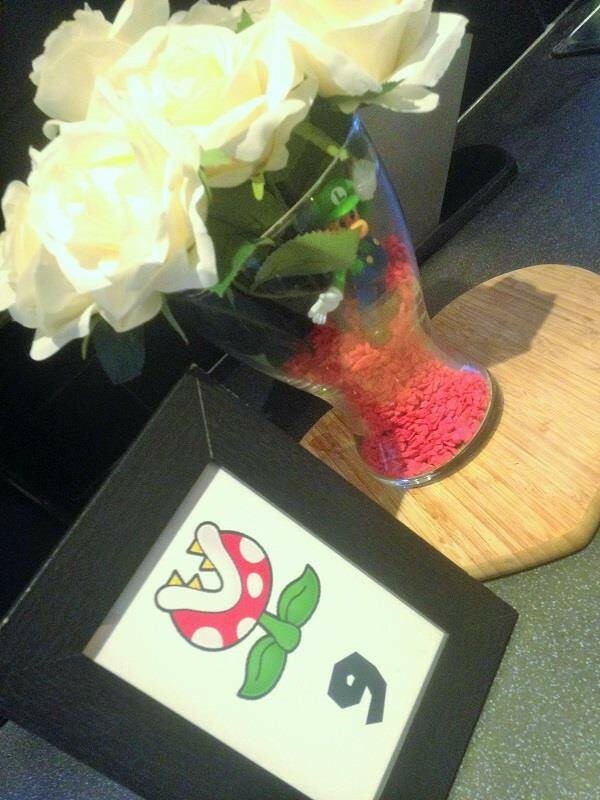 Centrepieces, notice the little Luigi in the vase! What items do you still need? 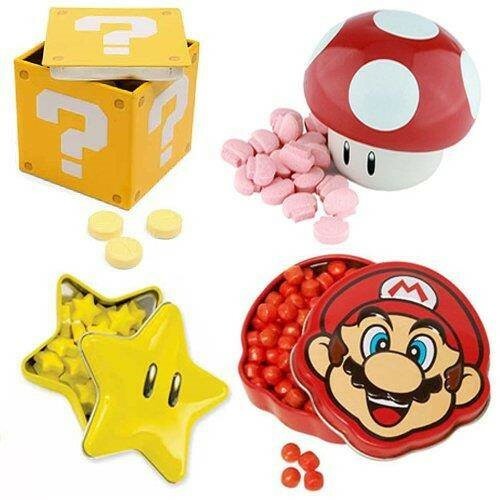 We still need to find mine and Grahame's shoes and I'd ideally like to find props like big Mario mushrooms or question mark blocks etc to make the decor look awesome. 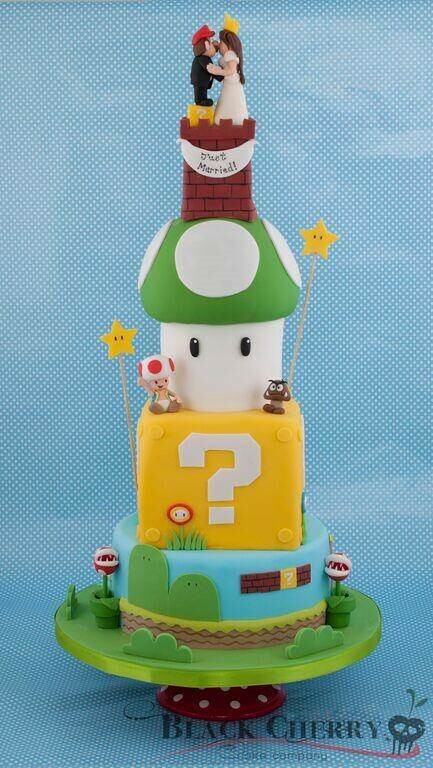 I'd like a cute Super Mario cake topper to add to the Super Mario themed cake! 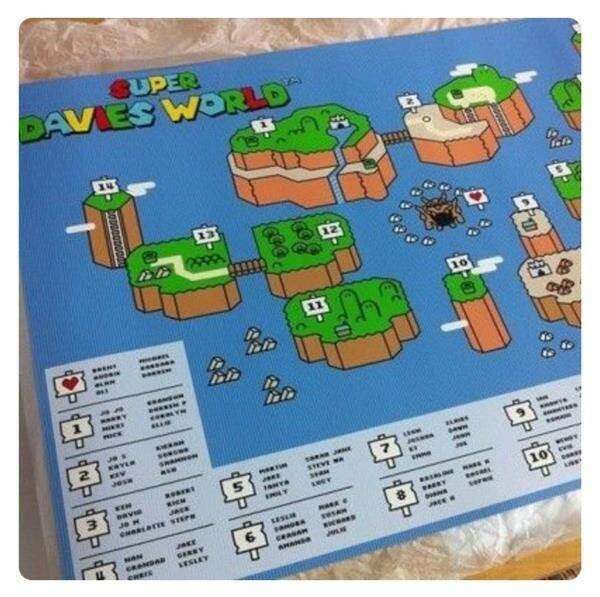 We also want a Mario Land map for our seating plan! 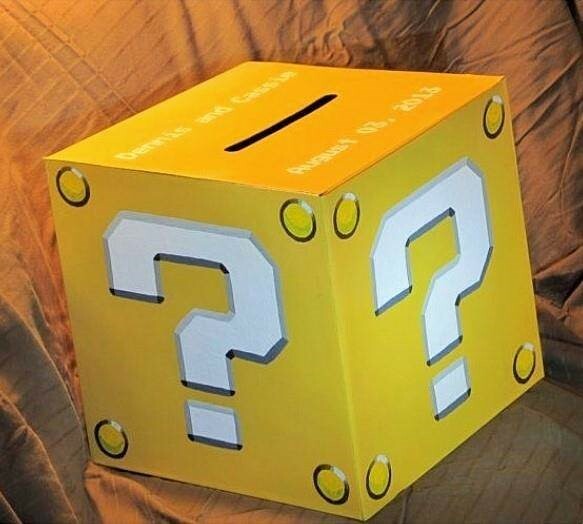 We're also after giant power up star balloons to put on our tables I'd ideally like a question mark box made from wood to put our cards into as well! We're certainly looking forward to seeing the photos too! We hope Lauren & Grahame don't have too much difficulty finding the last few things they need, we'll certainly be doing our best to help them out and if any of our readers can help with question mark boxes, mushroom props etc please drop us a message! We'll be sure to give you a big shoutout for your trouble! 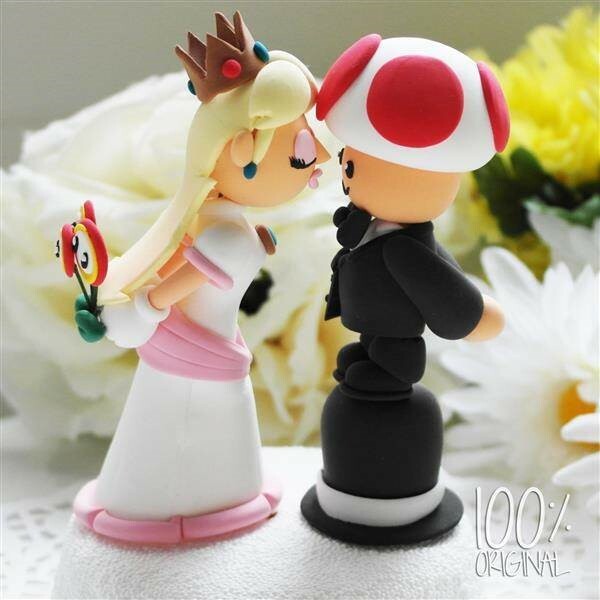 Custom made Princess Peach & Toad wedding cake topper by The Rosemarry Cake Toppers. 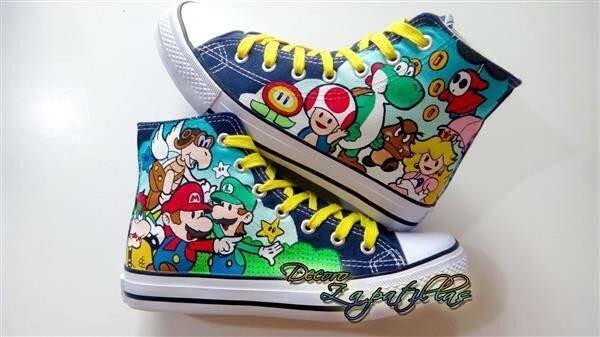 Super Mario Bros custom canvas shoes by Decoro Zapatillas. 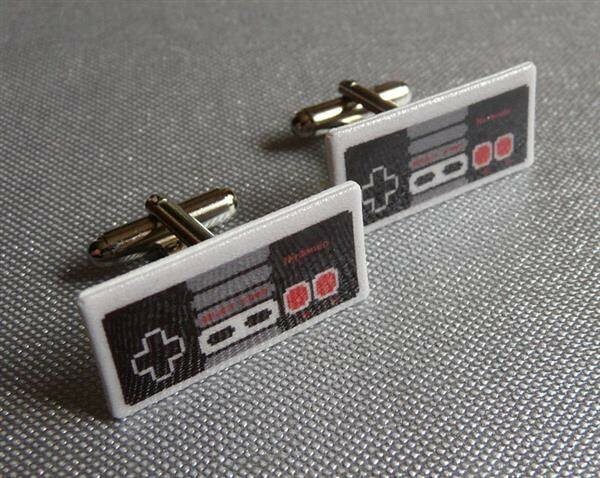 Classic NES control pad cufflinks by Pixel Party. 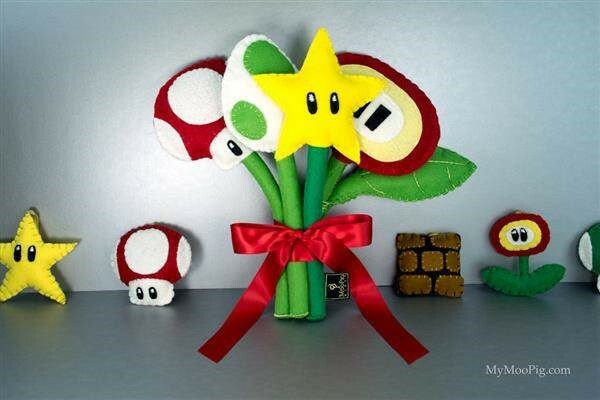 Mario themed alternative bridal bouquet by Moo Pig.